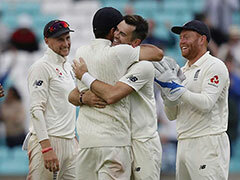 Cook produced a 71-run innings to give England a good start before the hosts lost six wickets for 58 runs post tea to collapse from 133-1 to 181-7. 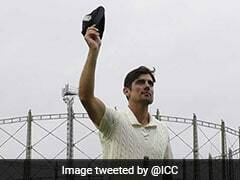 Ishant Sharma struck thrice to lead India's sensational fightback as the visitors reduced England to 198 for 7 at stumps after Alastair Cook hit a memorable half-century in his career's final match on day one of the fifth Test on Friday. 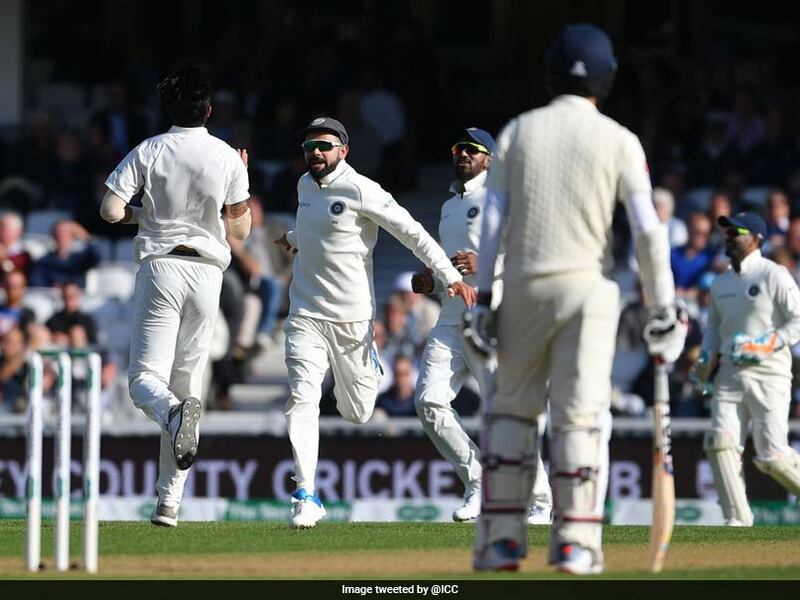 Ishant (3/28) picked up three wickets, while Jasprit Bumrah (2/41) and Ravindra Jadeja (2/57) struck twice each to trigger England's collapse in the final session of the opening day. 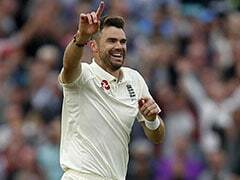 The 33-year-old Cook, who will retire from international cricket after this Test, produced a 190-ball 71-run innings to give England a good start before the hosts lost six wickets for 58 runs post tea to collapse from 133-1 to 181-7. 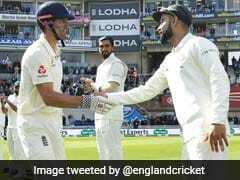 The hosts were going strong at 133-1 when Bumrah dismissed Cook and Joe Root (0) in successive balls in the 64th over and then Ishant removed Jonny Bairstow (0) in the next over to reduce the hosts to 134-4. Moeen Ali tried to resurrect England's innings with a patient 50 off 170 balls but Ishant returned to take two wickets in three balls in the 83rd over as England further slipped to 181 for 7. Mohammed Shami (0-43) also toiled throughout the day and was immensely unlucky to not have picked up any wickets. Post-tea, Bumrah and Ishant started off with brilliant spells again, and this time they got deserved rewards. Cook's dismissal started the collapse. He was bowled playing on off Bumrah in the 64th over. He put on 73 runs with Ali for the second wicket. Three balls later, Bumrah trapped Joe Root lbw for a duck, with DRS ruling in favour of India. It became three wickets in nine balls as Sharma nicked off Bairstow, caught behind. 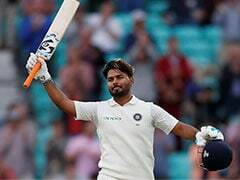 It was some consolation for keeper Rishabh Pant who had a tough day behind the wickets as the ball seamed a lot after tea. 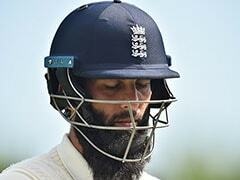 Ben Stokes (11) and Ali put on 37 runs for the fifth wicket and stemmed the downfall. The latter scored his 13th half-century off a slow 167 balls in this interim. 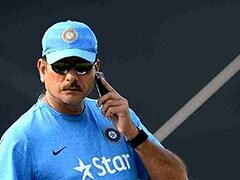 Jadeja began the slide again, as Stokes was trapped lbw in the 78th over. Having played and missed through the day, Ali finally managed to nick Sharma behind in the 83rd over. It was again a quick triple-hit as Sharma had Sam Curran (0) dismissed for a duck, the batsman edging behind as he looked to leave the ball. Shami bowled a threatening spell, but Jos Buttler (11*) and Adil Rashid (4*) survived till the end somehow. Earlier, both Cook and Ali got lives as England reached 122-1 at tea. Post lunch, India toiled hard and tightened their lines as the pacers got some seam movement, and could have easily accounted for both batsmen. In the 31st over, Ajinkya Rahane dropped Cook (on 37*) at gully off Sharma. Virat Kohli dropped Ali (on 2*) at third slip off Bumrah. Ali also survived an lbw shout in 33rd over off Bumrah, with India's DRS appeal being turned down. In fact, he was lucky to survive this session at all, as Shami beat him on umpteen occasions but simply didn't find the edge. Cook was more solid at the other end and duly reached his 57th half-century off 139 balls to a rousing reception from the packed crowd. Despite India's toils, the breakthrough didn't come, even as England scored at a slow pace with only 55 runs coming in the two-hour session with 100 coming up in only the 59th over. Earlier, England made their best start of the series as they reached 68-1 at lunch after Joe Root won his fifth consecutive toss and opted to bat. Cook was given a 'guard of honour' by the Indian team as he walked out to bat in his final Test. Opening bowlers Bumrah and Sharma found some movement in the initial overs, but the wicket turned out to be best for batting in this series so far. The early movement disappeared very quickly as Cook and Keaton Jennings (23) made a sedate start. Hanuma Vihari (0-1), who earned a maiden Test cap replacing Hardik Pandya, was also in action as he came on to bowl first-change in the 14th over. It was his solitary over though. Cook and Jennings brought up only their second 50-run partnership this series off 107 balls, and went on to put up their best opening stand in five Tests -- 60 runs. Their previous highest was 54 at Trent Bridge. Jennings though couldn't go on for longer, as he edged Jadeja to leg slip in the 24th over with KL Rahul adding another catch to his tally.